Nothing makes a game more enthralling than a blessing of a character stealing the spotlight. A game could have mesmerizing visuals, flawless gameplay but without a the appearance of a captivating character a game will never truly get the attention it aspires to have. Over the years, developers have presented us with countless fictitious wonders which leaves us wondering, which are the greatest. Well, here I will try to narrow down that mass of heroes, heroines and villains into a top 10. Spyro has been a long-loved video game character. Over a number of series there has been significant changes to his personality, none of which causing him to be any less of a lovable character. 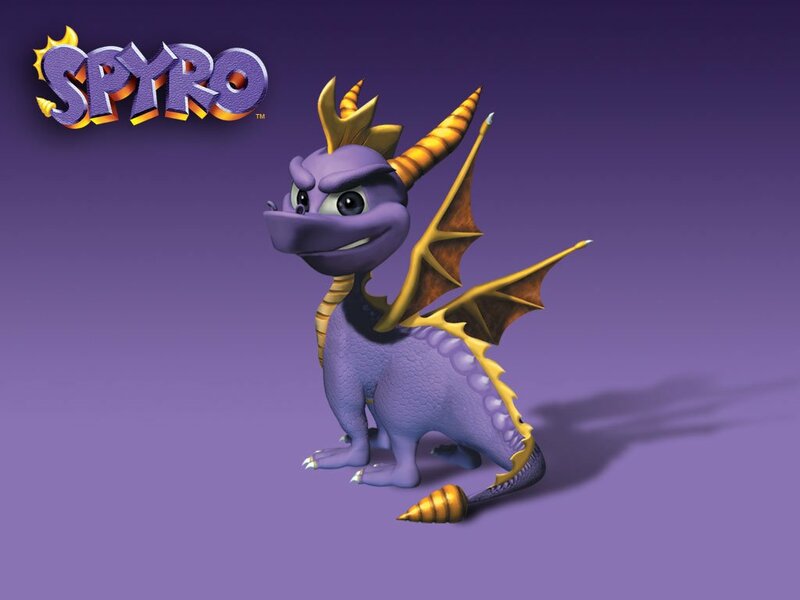 Spyro initially adopted a more cocky and hard-headed personality, winning players over with his witty and sarcastic sense of humour. However, in the reboot that took to the screens in 2006 , Spyro being portrayed as an orphan revealed a more sensitive side to his character, all the while still possessing his fine sense of humour. All of this made this purple dragon that much more of a great character. Spyro’s relationship with Sparx, his dragonfly companion has always been a significant factor to the series, even more so in The Legend of Spyro in which the two become brothers upon Spyro’s adoption. The witty relationship between the pair evolved into a more brotherly one in The Legend of Spyro series, making the previous banter between the pair become more like bickering between siblings. This reflects exceptionally well on Spyro, making him appear more down to earth and allowing the players with annoying siblings to at least empathise in some respect – as far as relating to purple dragons go. The Legend of Spyro series really placed considerable focus on Spyro’s relationship with other characters aside from his dragonfly buddy and in doing so, Spyro has won over audiences further by taunting their heart strings. Spyro has been a diverse character over generations. Whether you’re enjoying his endearing sense of humour in his more retro installments or brimming with sympathy as you play The Legend of Spyro series, the simple fact remains that this 4-legged bundle of joy will never cease to put at least a smirk on the players face and that is why he slots so easily into this top 10. 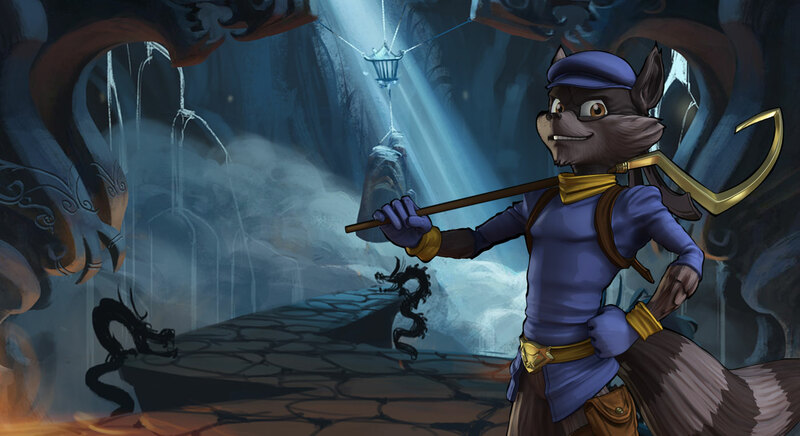 Sly Cooper is what can only be described as the better of two evils throughout this series of games. Technically speaking, Sly is a bad guy, a thief, stealing an array of expensive goodies to profit himself and his gang. However, within the series, his initially selfish intentions always turn to defeating competing thieves with more sinister intentions and in becoming an unlikely – and unintentional hero, Sly manages to attain the love of players and also sneak his way into this top 10. Straight off the mark players are enlightened as to Sly’s sad past of having his also thieving parents murdered and becoming orphaned as a result. This imposes a fundamental line of sympathy which proceeds to make every crime Sly commits acceptable to the player. Further love for this character is then derived from his loyalty to his two orphaned buddies, Bentley (a brainy tortoise) and Murray (a brawny, pink hippo). The trio began their thieving fellowship at the orphanage in which they all met. From then they had considered themselves family and Sly protects them like they are so. Sly has a killer sense of humour. This usually becomes more prominent to his personality when he is trying his luck with opposing cop Carmelita fox. Despite the obivous attraction between the two, Sly gets a kick out of tormenting her and well just generally making her work-driven lifestyle difficult to say the least. It really shines light on Sly’s winsome and charming personality. Sly Cooper is a fine example of great development. He is sly as his name states, funny, loyal and truly captivating as a lead character, so much so that we forget in some respects he is actually the bad guy. This savage nutter of a villain would be out of place if not in this top 10. Vaas Montenegro dominates the tropical setting (Rook Islands) of Far Cry 3 with his pirate troops. He is a mindless lunatic who doesn’t show the slightest bit of remorse for getting blood on his hands. Within the first few minutes of gameplay, Vaas brutally murders the brother of protagonist, Jason Brody and in doing so sets the tone for the game, quite gruesomely displaying how barbaric this pirate lord truly is. 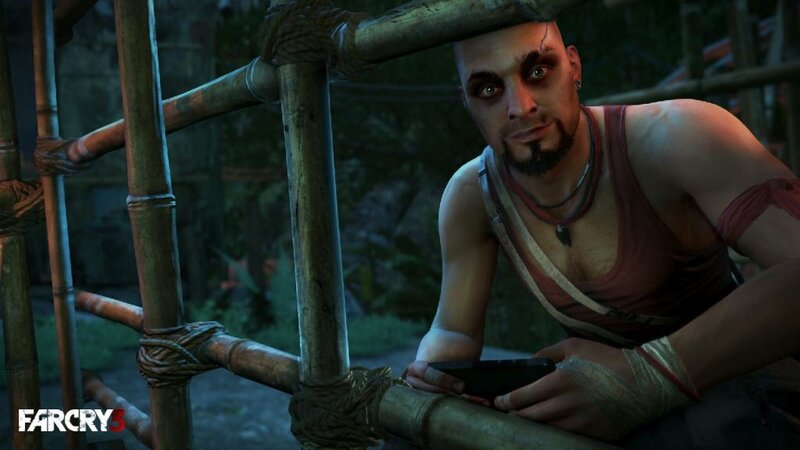 This lack of guilt or regret for such evil acts makes Vaas a genuinely frightening villain as the reality is he will stop at nothing to get what he wants and as Far Cry 3’s proceedings play out, this becomes increasingly evident. Far Cry’s 3’s setting also contributes in a way which is not immediately noticeable. The Rook Islands are unpredictable and overwhelmed with danger and it really acts as a representation of Vaas’s personality. All in all the player will learn that despite the initial beauty of the vibrant tropical island, that they shouldn’t underestimate it, nor Vaas’s villainy. Vaas is such a well developed character on Ubisoft’s part. Players will find themselves completely hooked on his sheer nastiness and no matter how many innocent people he slaughters, or shockingly horrid offences he commands, the player will remain just as disturbed each time. Dr. Nefarious is the most renowned antagonist of the Ratchet And Clank series, he is power-hungry, dastardly and well, pretty comical. Nefarious’s intentions to rid the galaxy of organic life, leaving it to all robots always fall light-years short and leave him looking like a right royal nincompoop. Dr. Nefarious isn’t a great character because of his evil acts, he is so because he’s absolutely hilarious. On top of all the drastic failure to his poorly planned atrocities, he has nasty habit of freezing and playing particular parts from his favourite films (Holovids). On many occasions he will lock up mid-scream, laugh or sentence and recite ”Oh, Janice”. Furthermore, Nefarious’s right hand man Lawrence is a complete moron and Nefarious rarely tolerates it. The witty master-slave insults are so well written and it truly makes Dr. Nefarious a great character to watch. He is just a lovable moron and the player will almost feel sorry for him despite his evilness. Dr. Nefarious is a terrible villain. He can’t pull off anything remotely evil but it doesn’t deprive him of of place in this top 10. GLaDOS is a great robotic video game character with a wickedly sinister sense of humour. She is one of the reasons the Portal series is so thoroughly indulgent. 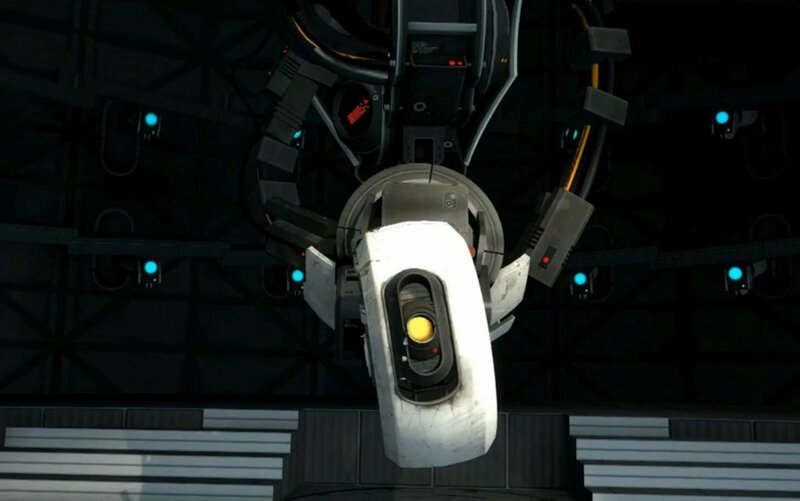 Portal is driven by what can only be described as a very dark yet humorous story line, this is relfected on GLaDOS’s personality considering she spends the series more or less torturing Chell, the protagonist. As GLaDOS tests, Chell throughout the game within the puzzling chambers it is evident that her sick sense of humour has no boundaries. Within the second installment to the series she pretends to reunite Chell with her family, finding her own misleading lie hilarious. Although funny, her menacing behavior can be disconcerting and uncomfortable. Her ability to generate such feelings with ease is what makes her such a great character. Throughout GLaDOS’s endeavors, it is apparent she is a bit of a nut job and can at times be very scary. Her evil is seemingly unconfined to any boundaries and she has no trace of humanity. Her bad ways have no limits and it is very effective in making her a character to be feared. Artificial intelligence can be frightening in respect to it possesses most human capabilities, lacking only the key element of emotion and empathy. GLaDOS is an ample example of this and you’ll be grateful it is you being tested as opposed to testing her and her patience. This furry cutie pie without a doubt earns his way into this top 10. 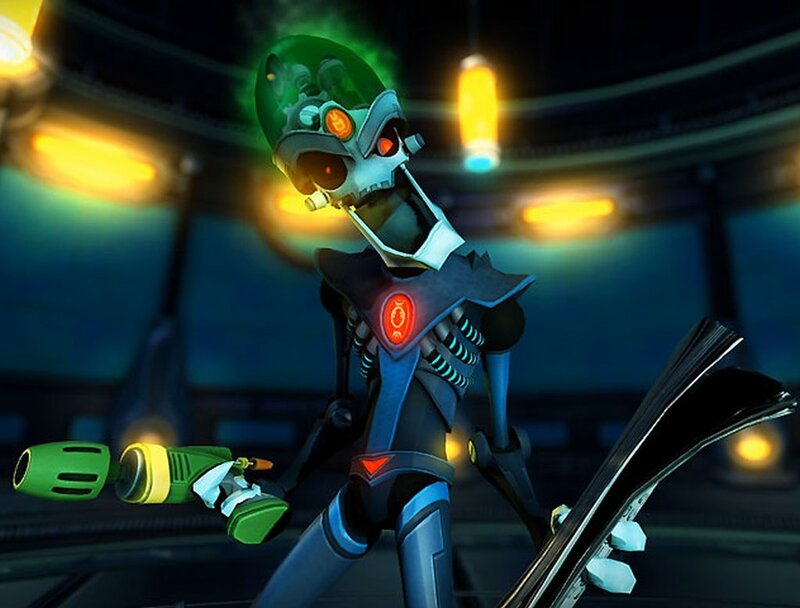 Since 2002, this loyal Lombax has been stealing our hearts with his courage, sass and his truly touching friendship with his metal companion, Clank. Initially Ratchet didn’t have much of a back-story, he was simply a galactic citizen eager for a little action and adventure. 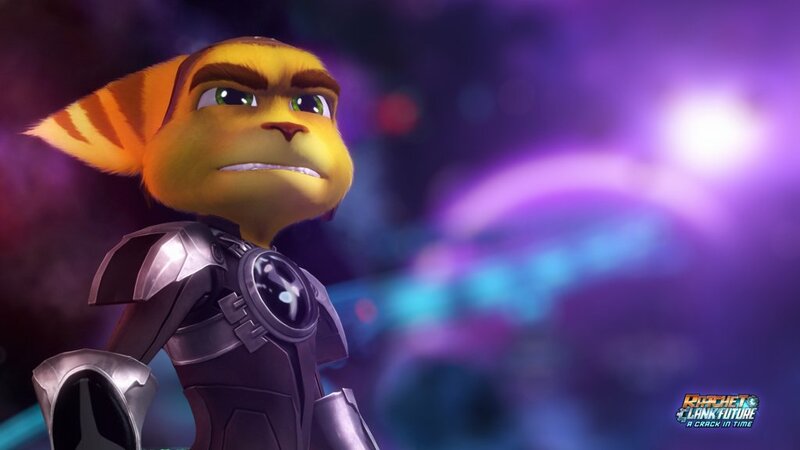 However, as gaming generations progressed, Insomniac Games began to provide more insight into Ratchet’s origins, mainly in The Future Ratchet And Clank installments. This made Ratchet all the more lovable as it brought his headstrong persona back down to earth and pretty much gave him feelings. He was no longer just reckless, resilient and determined to get the bad guys, he had a purpose, something to fight for. Ratchet’s relationship with Clank is incredibly significant to what makes him such a lovable protagonist. Not only is the back and forth banter between the pair thoroughly amusing, but the two were truly developed to bounce off of one another, compliment one another and ultimately it puts Ratchet in such a heart-warming light. He is portrayed as such a loyal and protective friend and it makes him such an endearing character that is impossible not to adore. Ratchet simply grows on you. Heroes don’t have to be overwhelmingly muscular or almost superhuman, they can win us over in any shape, size or form and Ratchet is a fine display of just that. Lightning is a very complex character and she makes the top 10 on account of it. Initially, Lightning appears to be the hardy type and due to a rough childhood and having to raise her sister by herself, she has every reason to be so. However, the beauty in Lightning isn’t just her striking appearance but the fact she is so much more than just a hard-nut and when Final Fantasy’s proceedings pick apart that tough exterior, inside hides a young girl mourning the loss of her parents, just wanting to be loved. A key element to Lightning’s character is her relationship with her sister, Serah. Due to the death of their parents, Lightning took it upon herself to raise Serah from a young age, a burden no one would wish upon a child so young. This being the case, Lightning often forgets she is her sister and more or less mothers her. This does subsequently affect their relationship a lot of the time, for instance when Snow (another playable character within Final Fantasy) proposes to Serah who agrees, Lightning treats the situation as mother would by forbidding it and deeming it preposterous whereas a sister would be more excited and encourage the relationship between the pair. Lightning is incredibly over protective and it makes her such a lovable character not only because she’d do anything for her little sister but also because the player will grow to pity her on account of the childhood she has missed. 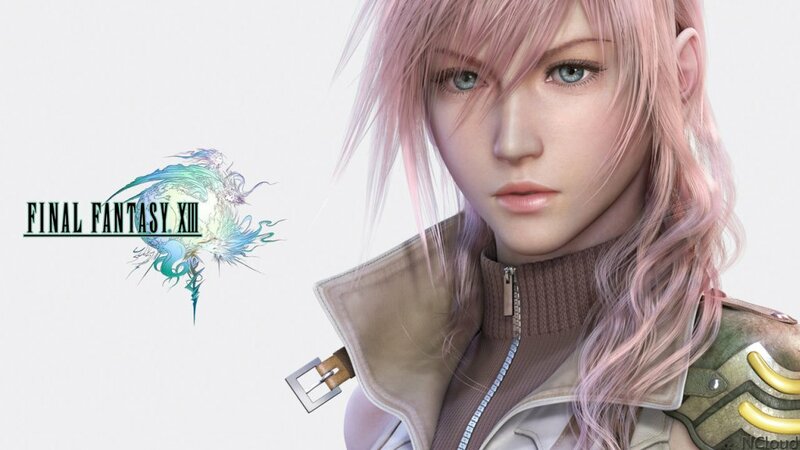 Lightning’s sturdy and emotionless facade deteriorates as the game progresses and the player will grow to love Lightning increasingly as her more sentimental side is revealed. Elizabeth Comstock, one of the leading roles in Bioshock Infinite is a character that will win over players within moments of meeting her. She possesses innocence, power and the player will no doubt be incredibly sympathetic for this very confused young girl. Elizabeth has spent the entirety of her days confined to a tower, learning only of humanity and civilisation through a means of books. When Booker (protagonist also known as the False Shepard) finally rescues Elizabeth from her solitude in order to wipe away his debt, Elizabeth is introduced to the world for real. Her shock as she’s people dancing to music she hasn’t heard before, citizens of Columbia conversing with one another and the apparent beauty of the world in which she lives, it all contributes into putting into perspective her innocence and how she truly knows so little of the world. Elizabeth is vulnerable and depends on Booker, the player will no doubt grow protective over her and love her character accordingly. 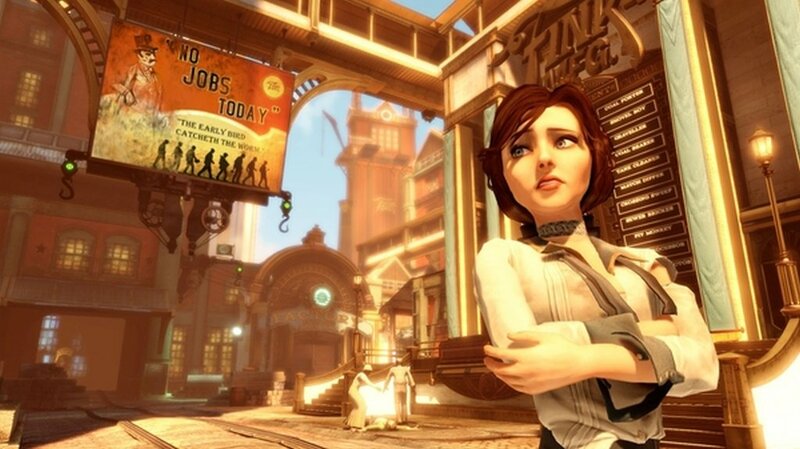 In the downloadable content for Bioshock Infinite (Burial At Sea) in which the protagonists revisit the setting of the previous installments to the series, Rapture, we see a different side to Elizabeth altogether. Over the duration of the proceedings of Bioshock Infinite, Elizabeth became stronger, more aware, however, in Burial at see she has developed even further becoming driven, confident and not nearly comparable to the fragile young lady that was rescued at the near beginning of Bioshock Infinite. She is still an amazing character nonetheless and the player will still strive to love her as they did before. Elizabeth is a wonderful addition to Bioshock Infinite. She is so strong and confident yet oblivious and vulnerable all the same. She is a thoroughly lovely character not only throughout the game itself but also throughout it’s outstanding downloadable content. 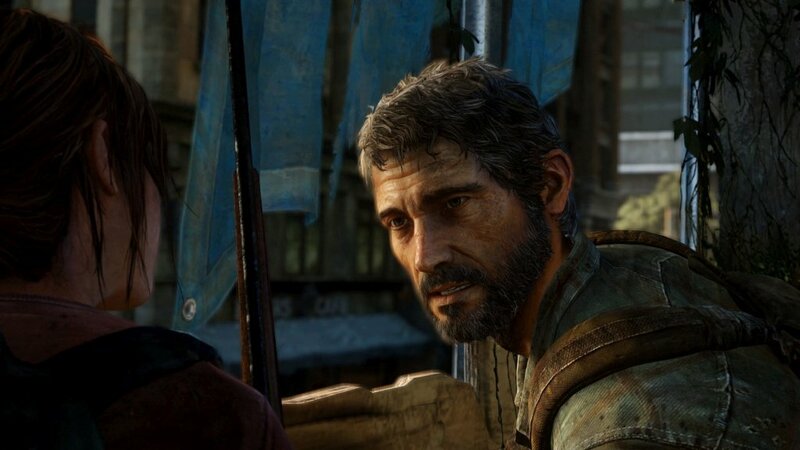 Joel is one of the best male protagonists to date and the player will adore his every action and hand on his every word from the start right to the end of The Last Of Us. Joel seizes admirers from the very start of the game in which his touching relationship with his daughter Sarah will tug ever so gently at the players heart strings. As events unfold, although at the expense of a few potential tears, Joel gets further admiration in his clutches which only continues to grow as the game plays out. Joel is a great character as it is exceptionally evident throughout that Joel is a gentle giant concealing a mass of emotion with a hard exterior he has had to develop. Joel will earn sympathy as the harshness of the post-apocalyptic setting takes it’s toll on him and even more so as he has to make some tough decisions. The Last Of Us is renowned for it’s focus on the relationship between the two main protagonists, the other being teenager, Ellie. Joel initially looks after Ellie for his own benefit, however as the game continues you watch him grow to care about Ellie and is this transition of feelings is no less than wonderful to witness. Joel is a fantastically developed character. With Ellie complimenting his every part in the game he will no doubt become every players desired companion given the occurrence of an apocalypse. This top spot is stolen by archaeological wonder, Miss Croft. Over a series consisting of over 10 games our world renowned Tomb Raider has secured a crazy fan base. Lara Croft has transformed over the series from a sassy, invulnerable treasure hunter in the earlier installments to a young archaeologist attempting to put her name out there in the series reboot of 2013. Lara Croft is such an appealing character in her first installments due to her pure badassitude. Every guy wants to be with her and every girl would love to be her. She is simply incredibly awesome. 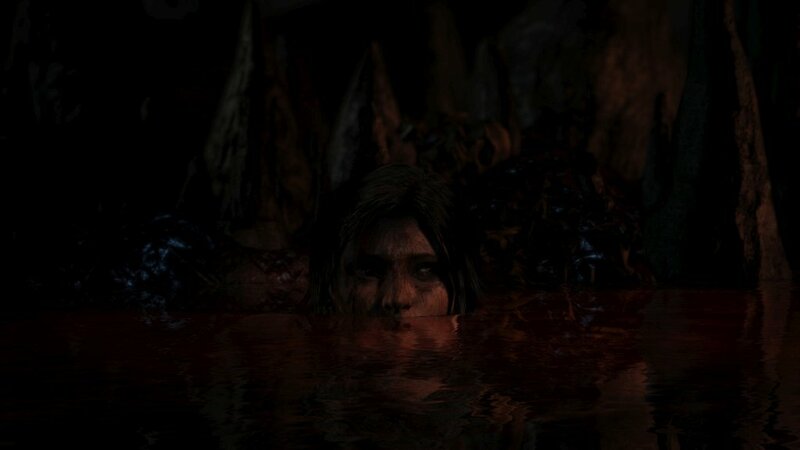 In the reboot to the series we saw an exceedingly different side to Lara. Set before her prior encounters we saw how she came to be the tomb raiding legend she is to date. From start to near finish she is vulnerable and fragile, the absolute opposite from how we’ve learned to see her. Players then have the pleasure of watching her endure what few could, sculpting her slowly but surely into the hard-headed, driven archaeologist we know her as to date. 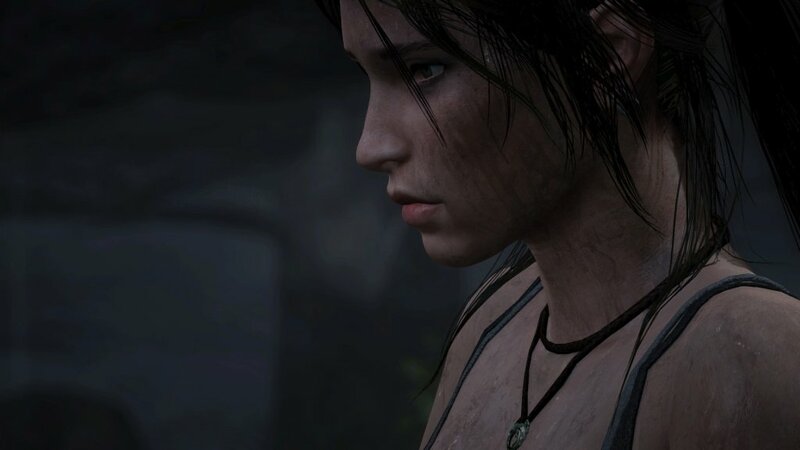 Having to endure her suffering with her allows players to become emotionally intertwined with Lara. Tomb Raider defies every prejudice against female capabilities and in being so she is almost iconic for women. The reboot has made her character that much more believable and in being so players are captivated by her that bit more. Tomb Raider possesses everything that is great about a character, she is strong, sassy and thanks to the new reboot she is realistic. Her journeys for ancient artifacts will be ones fans will engross in for time to come.